When celebrating Mardi Gras in New Orleans, feel free to drape yourself head to toe in all three colors. 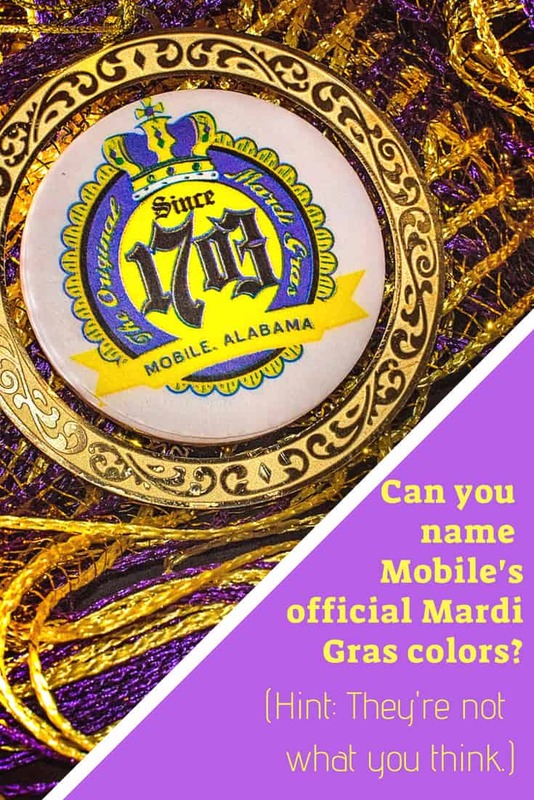 But if you’re celebrating Mardi Gras in Mobile (and you really should be), then be aware that the city only officially sanctions two colors — purple and gold. If that just made you drop your MoonPie, dust it off, and I’ll explain what happened to green. 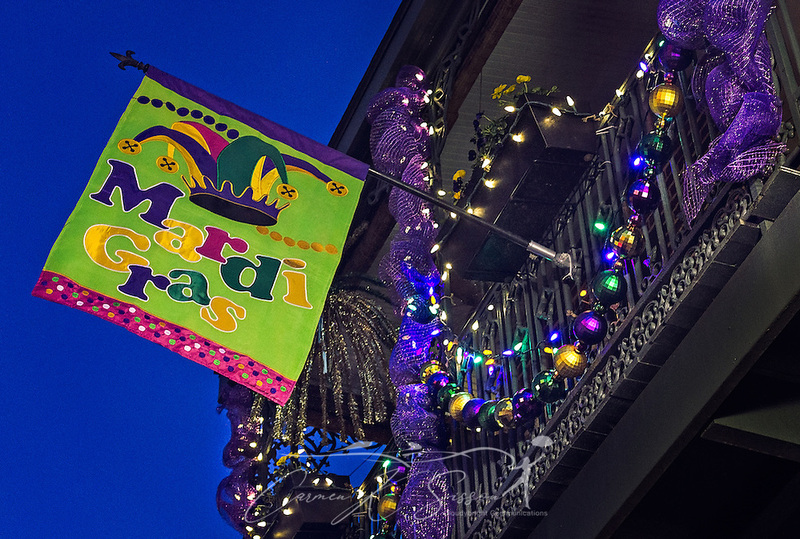 Ask any Mobilian where Mardi Gras began, and they’ll tell you that the Port City is the birthplace of this sacred revelry. In 1699, French-Canadian explorer Pierre Le Moyne d’Iberville arrived on the Gulf Coast, seeking the mouth of the Mississippi River. In his journal, he noted that the men in his camp had celebrated Shrove Tuesday with much merrymaking as they prepared for the austere 40-day period of Lent. 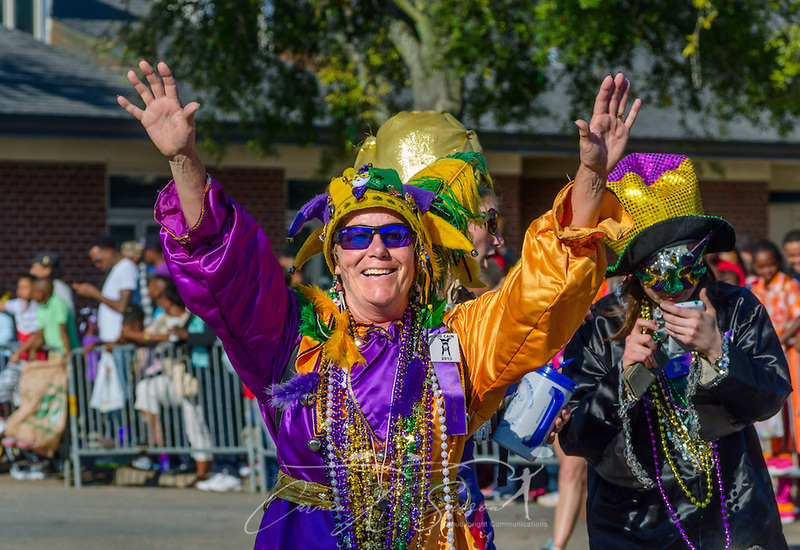 Three years later, d’Iberville established Mobile, and settlers in the camp celebrated the first Mardi Gras in 1703. It was a celebration that, in many ways, never ended. 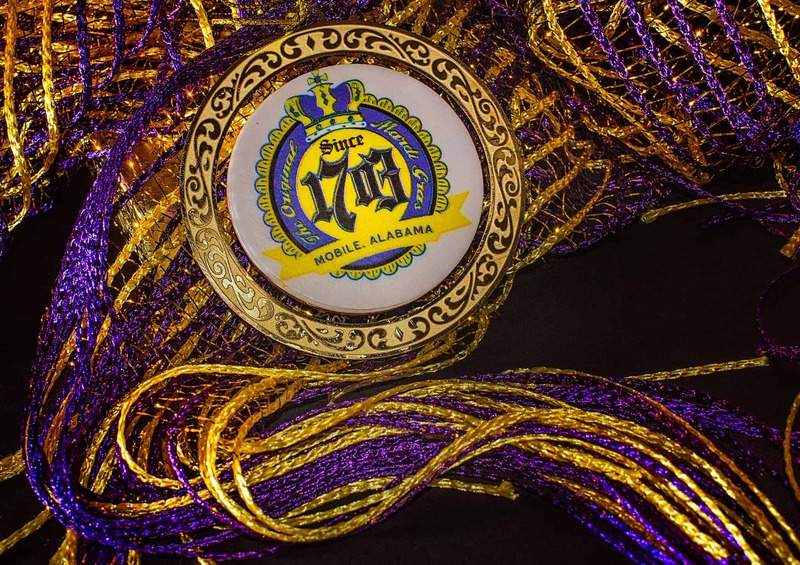 Given its origins, it’s not surprising for Mardi Gras to be represented by purple and gold. Purple is traditionally associated with royalty as well as with the Catholic observance of Lent. Gold represents power — the power of the monarchy and the power of wealth. According to some sources, the addition of green originated in New Orleans in 1872, when a Russian monarch visited. His family colors were purple, green and gold, so New Orleans added green to their festivities to honor their prestigious visitor. I can find no evidence to support this though, so I’m skeptical. But everything I own is purple, green, and gold! That’s ok. Some native Mobilians, myself included, consider purple, green, and gold to be the official Mardi Gras colors: Purple for justice, green for faith, and gold for power. I’m participating in Visit Mobile’s ambassador program, and our teacher said many of us missed this question on our weekly quiz. 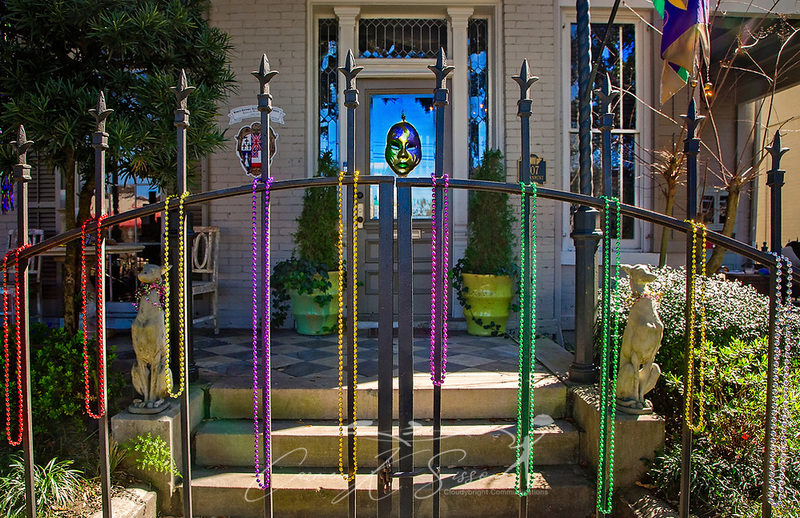 Nevertheless, when Mardi Gras season rolls around, you will see the three colors everywhere, from flags on houses to wreaths on doors to glitter on King Cakes. Just don’t call it Carnival. That’s another New Orleans thing. 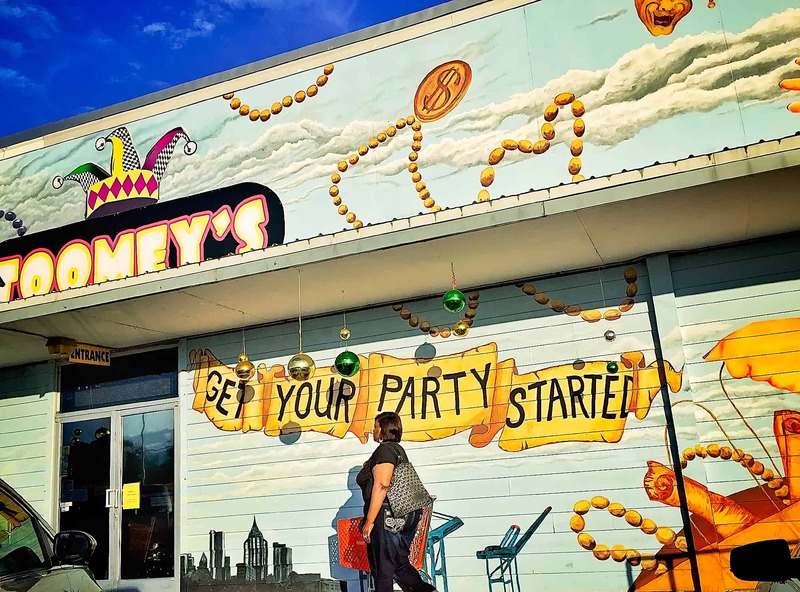 Visit Toomey’s, which offers every kind of Mardi Gras bauble you can imagine, from beads to masks. It’s also a fun place to people watch and eavesdrop. M-F: 10 a.m. – 6 p.m.